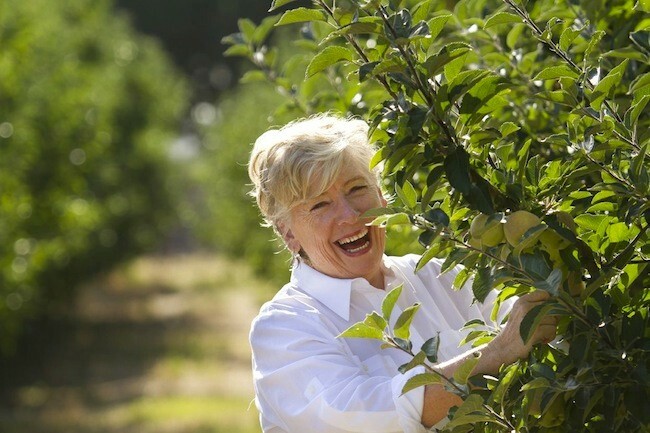 Maggie Beer is an Australian cook, food author, restaurateur and food manufacturer. Maggie and her husband Colin established the Barossa Pheasant Farm Restaurant in 1978 in the Barossa Valley of South Australia. The restaurant became known for serving pheasant (which was raised locally) as well as a pate, known as Pheasant Farm Pate. Maggie and Colin operated the restaurant until 1993. Later, she became a partner in the Charlick's Feed Store restaurant in Ebenezer Place, Adelaide. Currently, Maggie operates a business in the Barossa which produces a range of gourmet foods, including Pheasant Farm Pate, quince paste, verjuice and ice creams. She co-hosted the ABC television cooking program The Cook and the Chef with Simon Bryant, who is the Head Chef for the Hilton, Adelaide. She has also appeared as a guest judge on MasterChef Australia. Maggie has written several books about food and food preparation, as well as co-authoring a book with noted chef Stephanie Alexander.